Posted on Friday, January 30, 2015 by "T". 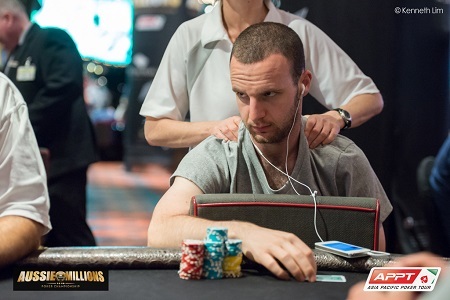 The Main Event has been narrowed down from 668 entries to 30 players after 3 intensive days of play at Crown Melbourne. Raiden Kan finished Day 3 with the chip lead (1,775,000), but all eyes will be on defending champion Ami Barer (443k) and two-time AU$250k Challenge winner Phil Ivey (439k) when Day 4 kicks off. Posted on Monday, January 26, 2015 by "T". On Sunday, the first starting day of three kicked off at Crown Casino in Melbourne, Australia. 183 players bought in for $10,600 each (8 more than Day 1a of last year's Main Event) and 97 players were still sitting at the tables after seven 90-minutes levels of play. Posted on Monday, February 10, 2014 by "T". 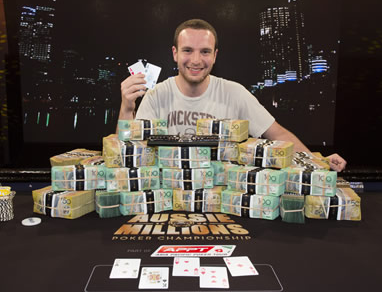 On Sunday, the final seven players returned for the 2014 Aussie Millions Main Event final table, where a massive AUD$1.6 million first prize was up for grabs! After nearly 12 hours of battle, Ami Barer of Canada was the last man standing after defeating fellow countryman Sorel Mizzi in what can be described as a record short heads-up battle. Posted on Friday, December 13, 2013 by "T". When the final table of the Eureka3 Prague Main Event kicked off yesterday, 22-year-old Canadian online pro Ami Barer (about $5.5 million in online winnings) was the chip leader with 7.2 million and his closest competitiors were Stephen Chidwick (4.9m) and Dmitry Holdeew (4.7m). The trio dominated play from when the cards were in the air until they were the last men standing. 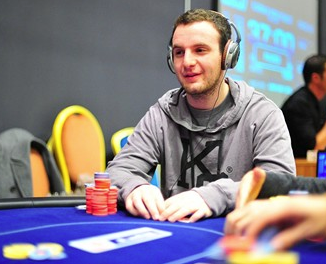 Eureka3 Prague: PokerStars Qualifier Leads Final Table! Posted on Thursday, December 12, 2013 by "T". The Eureka3 Prague Main Event drew a field of 1,315 players - who have battled it out for the past few days and become a final table of 8. 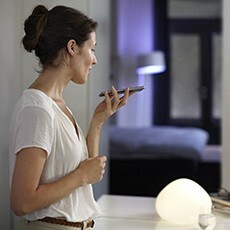 The finalists will return at noon local time and fight for a first prize of €226,400! 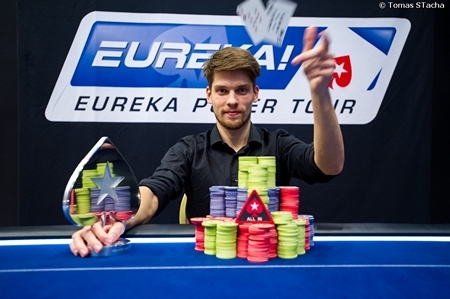 Read more » Eureka3 Prague: PokerStars Qualifier Leads Final Table!